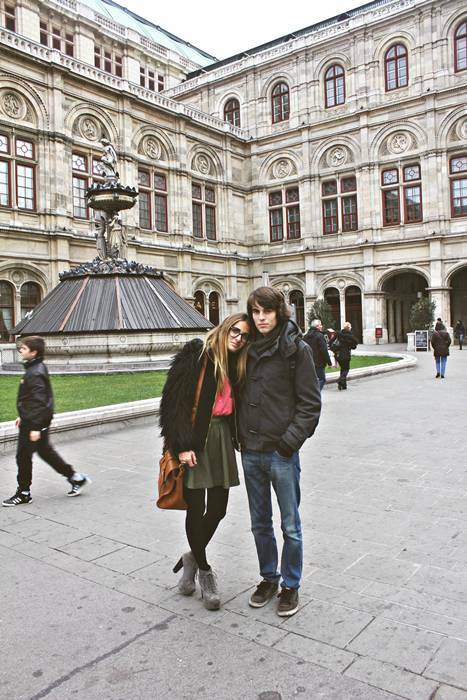 Few days ago, me and my bf went to Vienna! It was beautiful, I love that city! It's most beautiful in fall! I love all the lights and I even enjoy the cold weather. We went for just one day and it was great. 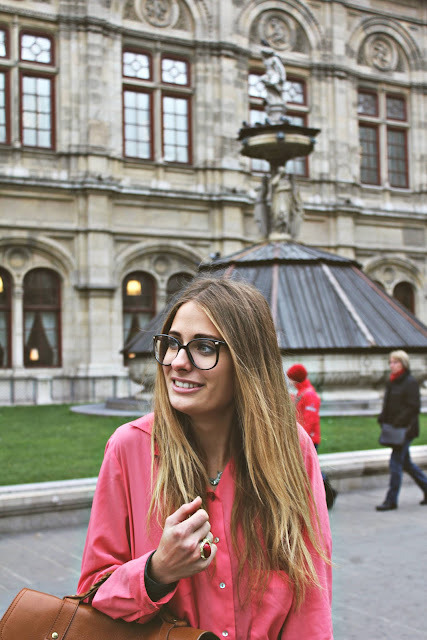 I did all my shopping in Forever 21 and American Apparel (one of the reasons I went to Vienna). You look amazing, I love your shoes!!! such a lovely photos and outfit! thank you so much for comment! love your blog! Following each other? I'm already following you! you look awesome, amazing coat! It looks like you had a lot of fun!! Viena is such a beautiful city...I like your skirt and your Mulberry bag. Lovely!! Very nice outfit! Very nice girl! you look amazing!! :) love that pink blouse! Beautiful photos and I love your outfit ! the satchel and jacket are so lovely! it's wonderful that you're so young, and so fashionable. also i loved vienna when I went several years ago! amazing outfit and pictures!!!! you look fab!!! You look amazing! I'm going to vote you! Super stylish and cute! Love your blouse and glasses! i have that skirt too! you look amazing in it! I'll be in Vienna for the next six months...can't wait ;)! Oh you look amazing!! I love your outfit!! Nice look! Love the skirt!! Vienna looks so much like Milan, impressive! Nice outfit :) I like the matching of the pink shirt with grey and black. PS: Burger King is the best thing ever!!! Such a lovely nerd look! absolutely loving all your clothes!!! Love your outfit! The shirt, the Litas, the bag, everything! I love your stile!! you are always perfect. I love your outfit! Beautiful! And I love your style and your blog! I follow you! Wow, your blog is sooo lovely! I'm following you, hope you'll follow me back! I love your outfit, your shoes are awesome! wow, I just found out your blog and I'm stunned. Your style is amazing and you look gorgeous!! aww i love vienna (: btw beautiful outfit! love your lit as...have two pairs! i loved wien last winter! You're wonderful in these photos, love these glasses on you! I love your outfit! The bright pink looks great against the khaki green, and I loooove your Mulberry bag! I love the mix of greys and browns with the touch of pink amazing.